(Leah Hogsten | Tribune file photo) Real Salt Lake lost to the Portland Timbers leaving it needing a little help to make it to the playoffs. Real Salt Lake needed a win Sunday against the Portland Timbers to clinch a playoff spot in the Western Conference. But the Timbers had other ideas. RSL lost 3-0 to the Timbers, who secured a playoff berth with the victory. 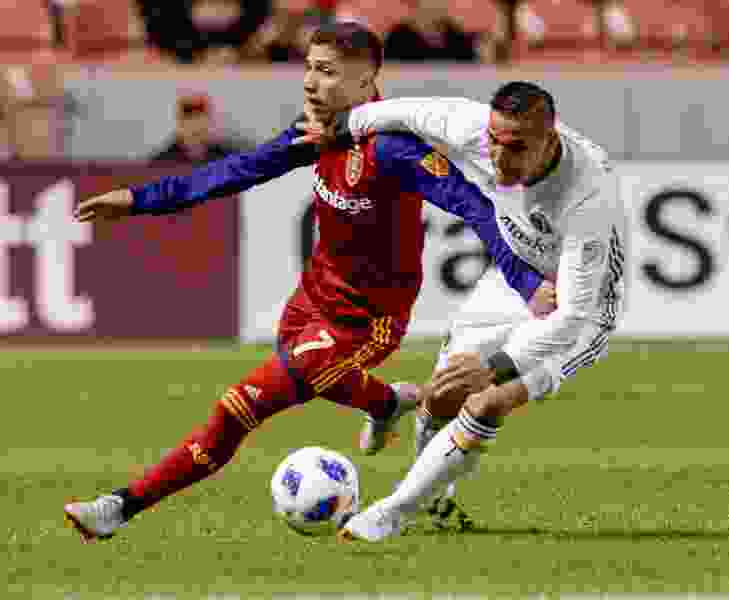 With the L.A. Galaxy winning 3-1 against Minnesota United, RSL is now only one point ahead of the Galaxy for the sixth and final playoff spot. Now all RSL can do is sit and watch with bated breath as the rest of the league plays next week to determine how the playoff picture shakes out. Kyle Beckerman’s foul in the 14th minute gave the Timbers a free kick. Larrys Mabiala finished a cross from Diego Valeri on the set piece to give Portland a 1-0 lead in the 15th minute. RSL earned a corner kick in the 44th minute. Joao Plata sent a ball to Kyle Beckerman, who attempted a header on goal, but it was saved by Timbers keeper Steve Clark. The Timbers tallied eight shots in the first half, three of which were on target. Real had three shots. “It just has to get better,” Justen Glad told KMYU during halftime, clearly frustrated at how the first half transpired. A few minutes into the second half, Lennon hit a cross to Plata, who had a god look at the goal. But Plata got under the ball on his strike, which sailed over the goal. In the 44th minute, a corner kick for RSL went to Beckerman, who headed the ball down and in front of Glad, who was inside of the 6-yard box. Glad settled the ball with his body and took a hard shot. But Clark managed the save with quick reflexes. RSL put together an aggressive stretch for much of the second half, creating chances and putting shots on goal. But Portland’s defense and Clark’s quick hands kept RSL at bay. The Timbers put the game away in the 68th minute with a goal from Diego Chara off an assist from Diego Valeri. In the 86th minute, Sebastián Blanco put away a goal for good measure off an assist from Lucas Melano. Beckerman picked up a yellow card in the first half. … Valeri earned a yellow card in the second half. … Portland outshot RSL 17-12 (8-5 on goal).